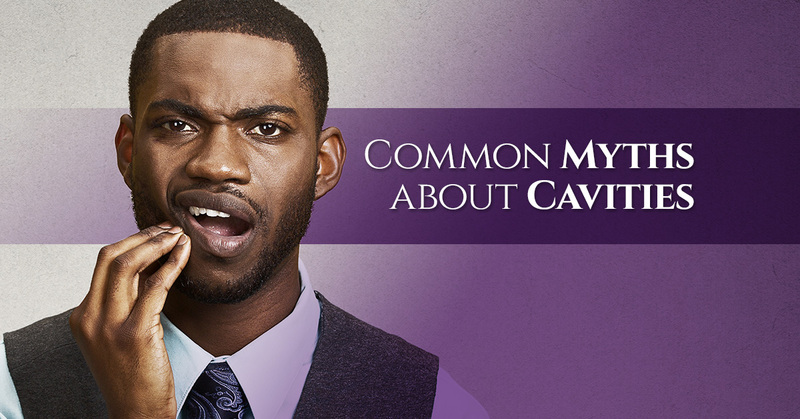 Cavities are a very common dental problem, but there are many myths out there about cavities. Most people have had at least one or two cavities throughout their lives, and while many of us understand that cavities aren’t a good thing and that you can prevent them with proper oral care, there is also a long list of myths about cavities that can be dangerous to believe. At James Otten Dentistry, we believe that knowledge is power, especially when it comes to your health. That’s why our dentist in Lawrence is setting the record straight about the most common myths about cavities. Myth #1. Only kids get cavities. The truth is, no matter how old you get, you’ll never really be completely safe from getting a cavity. While children are more likely to eat sweets and other foods that can cause cavities, adults are more likely to take medications that can reduce the production of saliva, which increases their risk for developing cavities as well. Myth #2. Sugar is the only food that causes cavities. While it’s true that sugary foods, including soda, candy and ice cream, are probably the biggest culprits where cavities are concerned, cutting out sugar won’t automatically eliminate your risk for developing cavities. Starches, such as pasta and bread, can stimulate the bacteria on your teeth, which produces an acid that can attack your enamel, leading to cavities. Myth #3. You’ll be able to feel a cavity if you have one. In most cases, tooth decay doesn’t come with any symptoms until it gets severe. Cavities aren’t always obvious, which is why visiting your dentist on a regular basis for a dental exam is incredibly important. Have a cavity? Let our dentist help you take care of it! Click here to learn more. Myth #4. If your child gets a cavity in their baby teeth, you don’t have to treat it. Many parents don’t think that treating cavities in baby teeth is important. After all, the teeth are going to fall out anyway, so why spend the money to get them treated? If you leave tooth decay in baby teeth untreated, it can start to infect the permanent teeth that are developing beneath them. Additionally, healthy teeth allow kids to eat healthy food! Myth #5. The mercury in fillings is dangerous. Some people don’t get their cavities filled because of the mercury that exists in silver fillings and dental amalgams. However, it’s important to note that this is not the same kind of mercury that can build up in fish and is linked to health hazards. The dental amalgam used to fill cavities has been evaluated by the FDA, CDC, and EPA, and it has been found to be safe. Myth #6. Once you get a cavity filled, you no longer have to worry about it. The process for filling a cavity involves first removing the existing decay and then filling in the cavity with the appropriate material. Many people believe that, once their cavity has been filled, they no longer have to worry about it. However, decay can still develop around or next to the filling if you don’t properly take care of your teeth. Getting your cavity filled does not give you a reason to stop taking proper care of your teeth. Whether you have a cavity that needs to be filled or you have questions and concerns, our dentist in Lawrence is happy to help. Contact us today!